There is a direct correlation between the size of an enterprise’s attack surface and its risk profile. The greater the number of networked applications supported by the enterprise and the greater number of users granted access, the greater the chance that one of those users will be compromised and hackers will gain a foothold to the broad enterprise application environment. In fact, this attack vector has been exploited by hackers in most of the high profile data breaches dominating headlines over the past two years. However, enterprises are now adopting more advanced application isolation and segmentation techniques that actually shrink the attack surface and reduce the risk of a data breach. 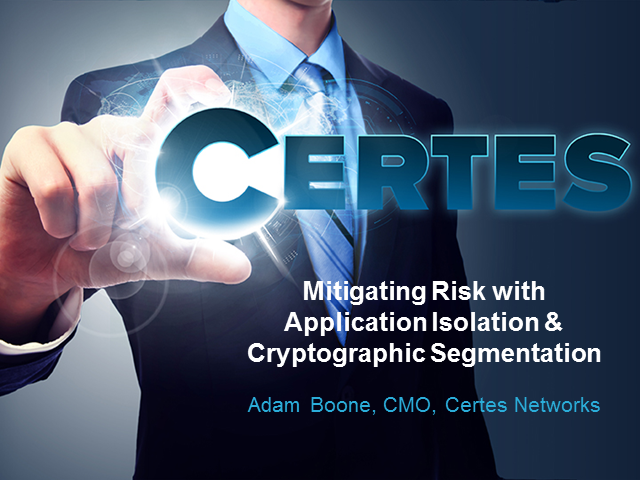 This presentation will cover use case examples of application isolation, cryptographic segmentation, and role-based access control methodologies that limit application exposure while containing and minimizing the damage of breaches when they occur.